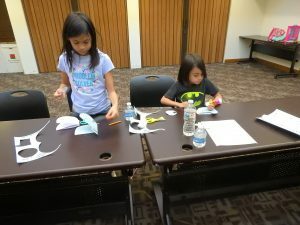 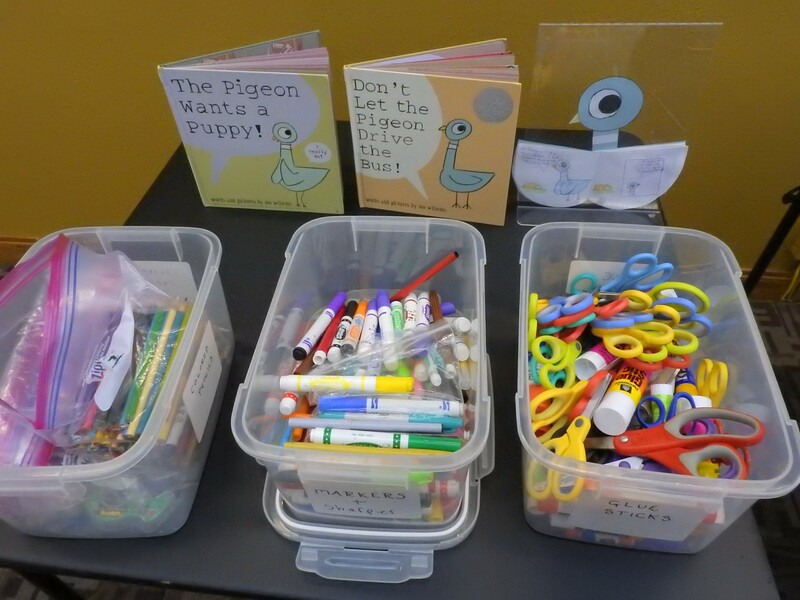 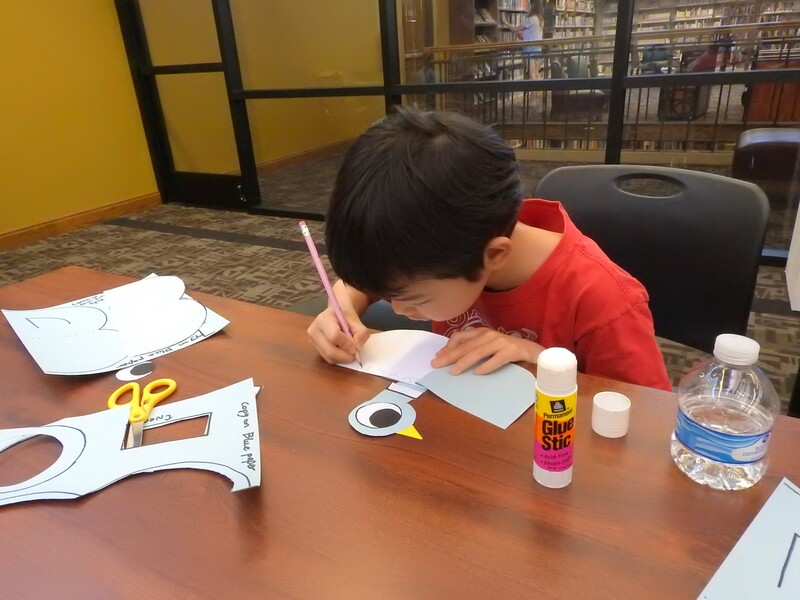 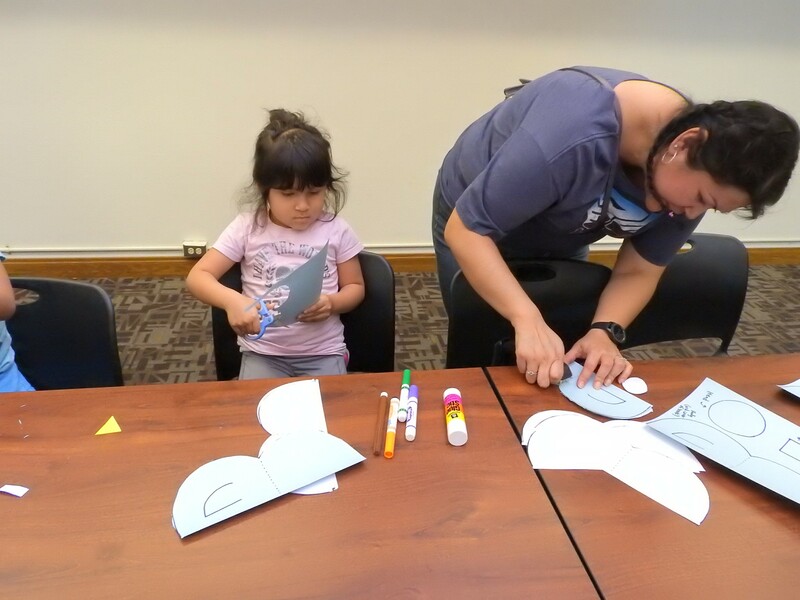 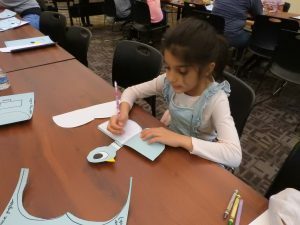 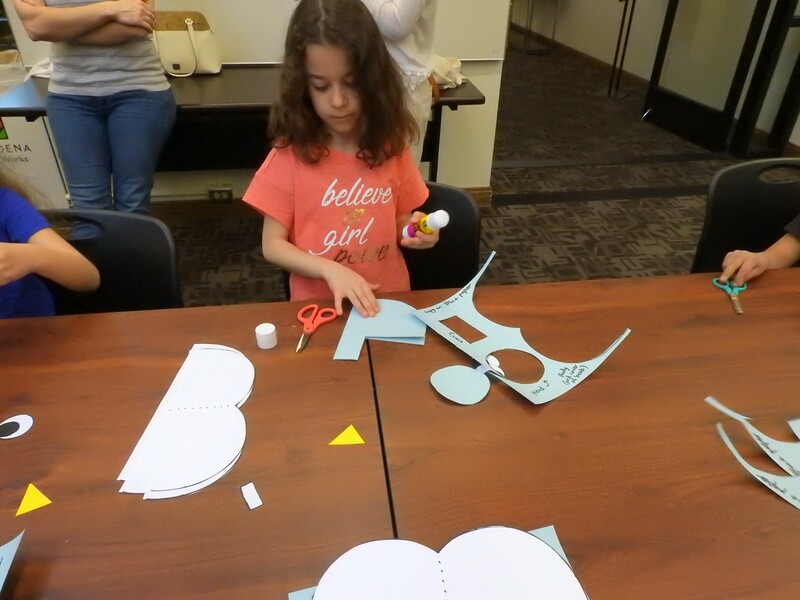 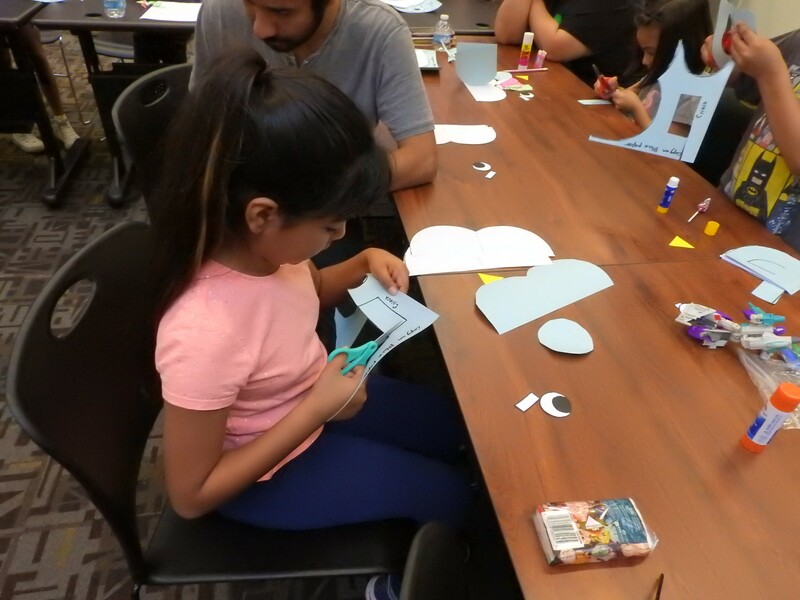 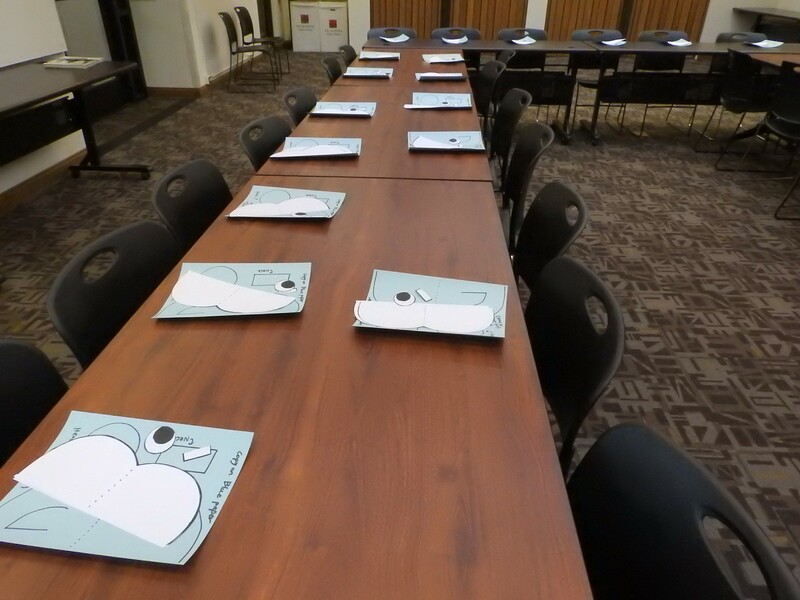 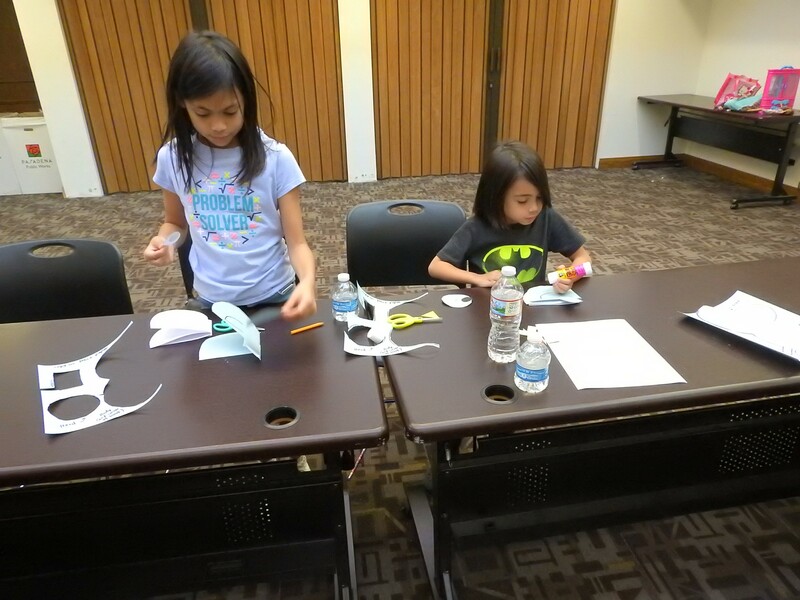 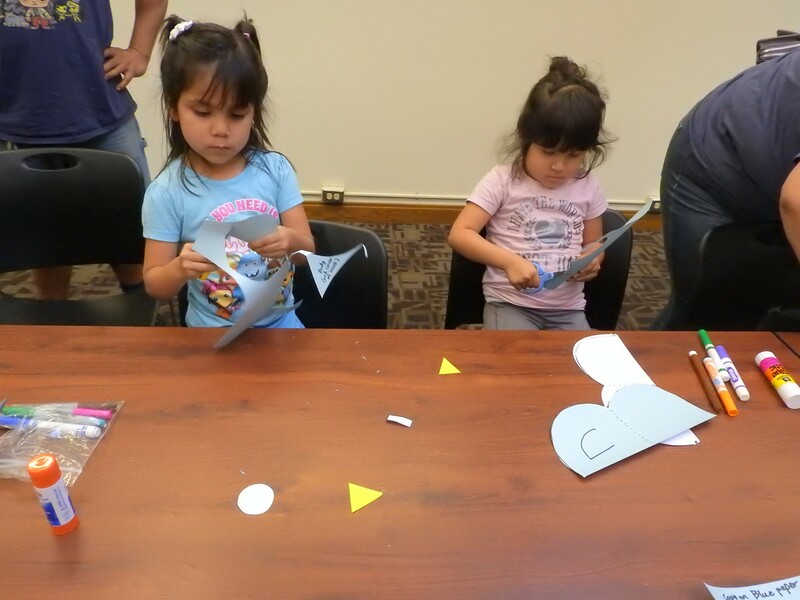 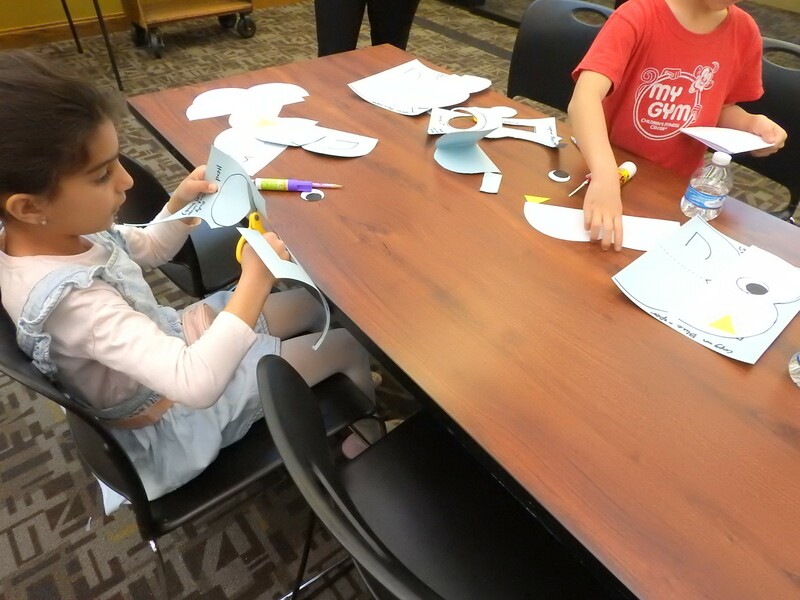 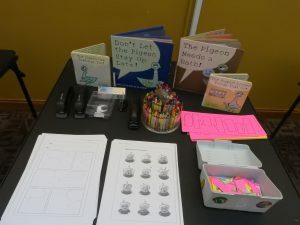 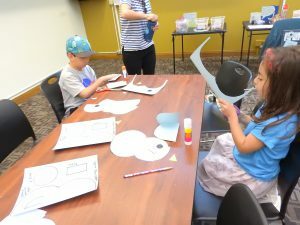 Last Saturday, kids between the ages of five and eight came to Pasadena Library to do do a crafty creative writing activity making our own books–covers included!–inspired by the Pigeon books of Mo Willems! 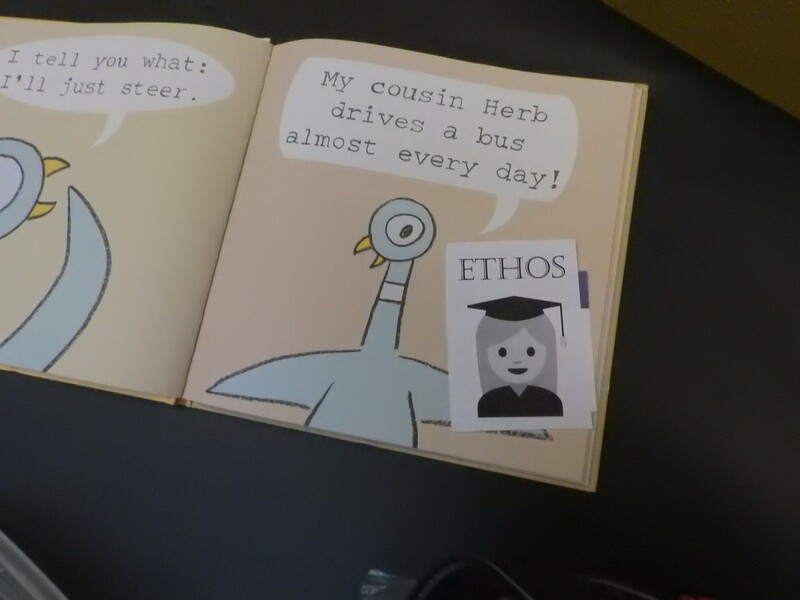 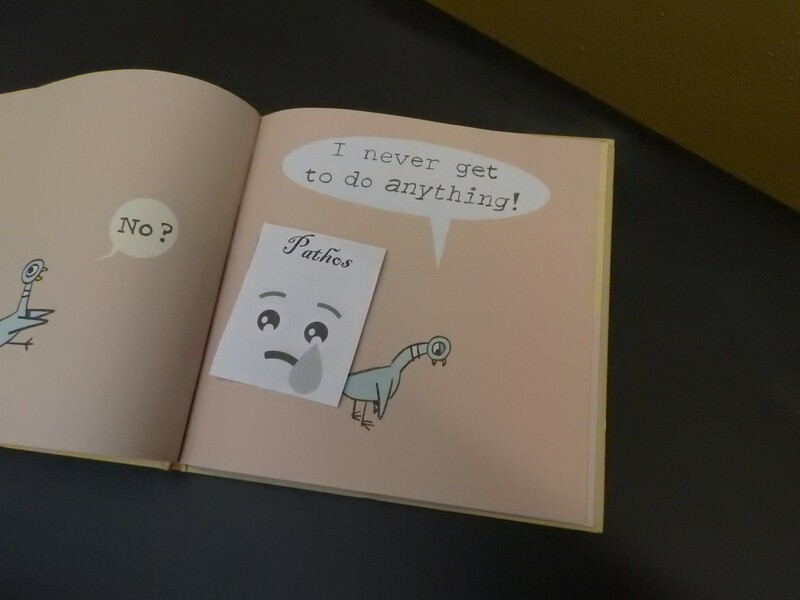 We read The Pigeon Needs a Bath and a little of Don’t Let The Pigeon Drive the Bus, and talked about the three rhetorical devices: Pathos (appeal to emotions), Ethos (appeal to respect for authority or credibility) and Logos (appeal to reason and facts). This was a little challenging for kids but not as challenging as one might think! 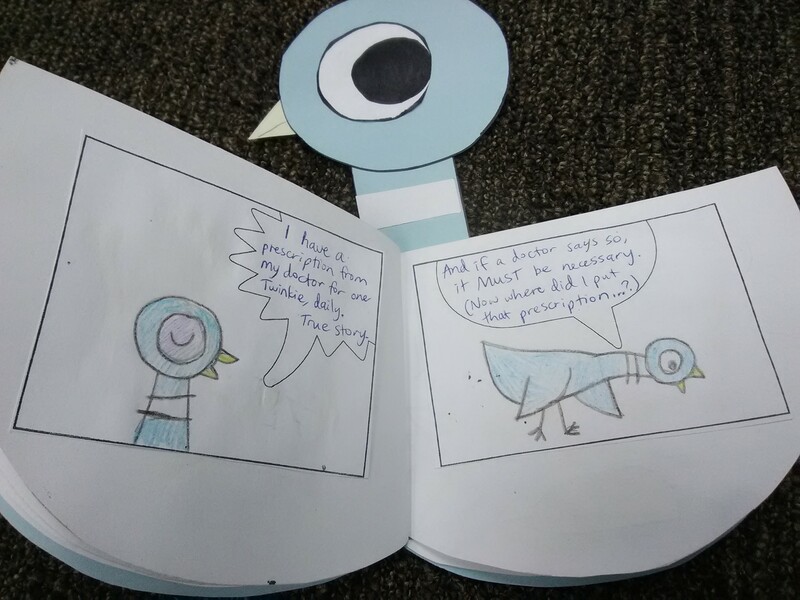 We went back through these books and identified examples of the three types used by the Pigeon to manipulate–I mean, persuade–the reader into letting him get what he wants. 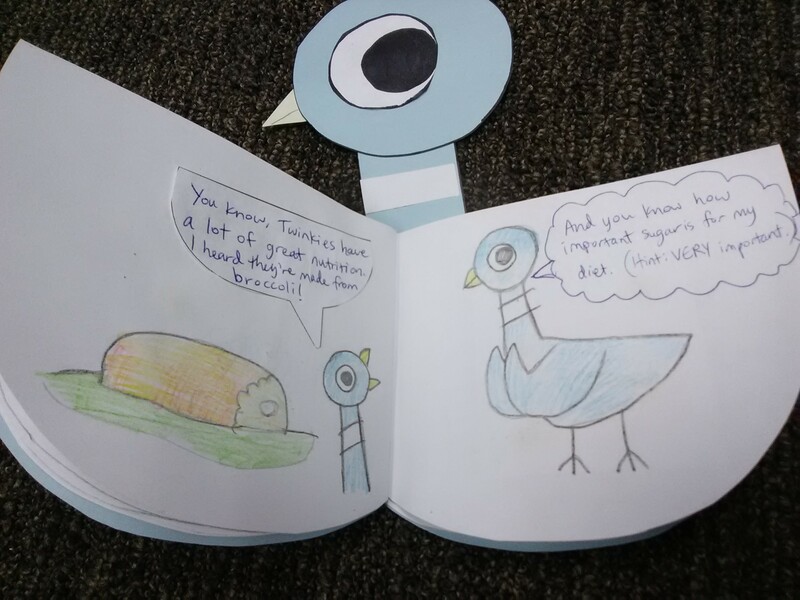 The children wrote wonderful stories! 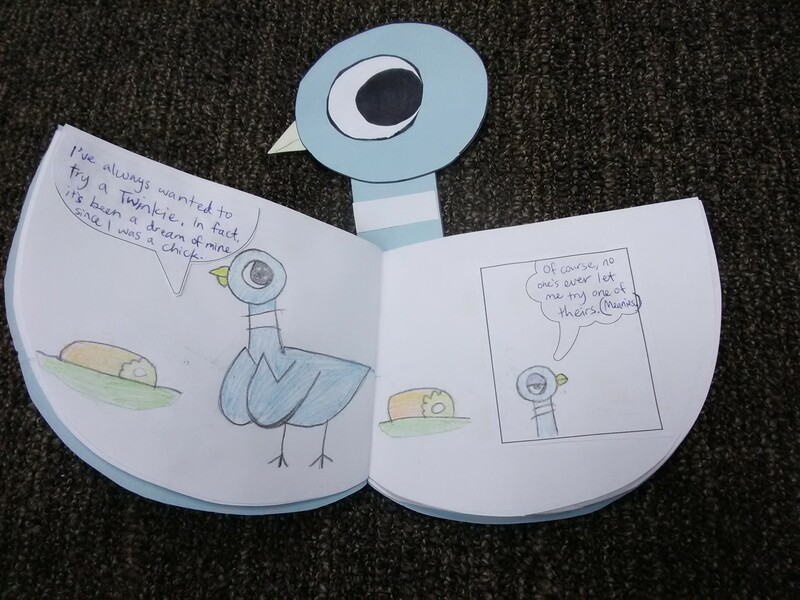 Their pigeons begged and pleaded and cajoled! I captured as many as I could on video. 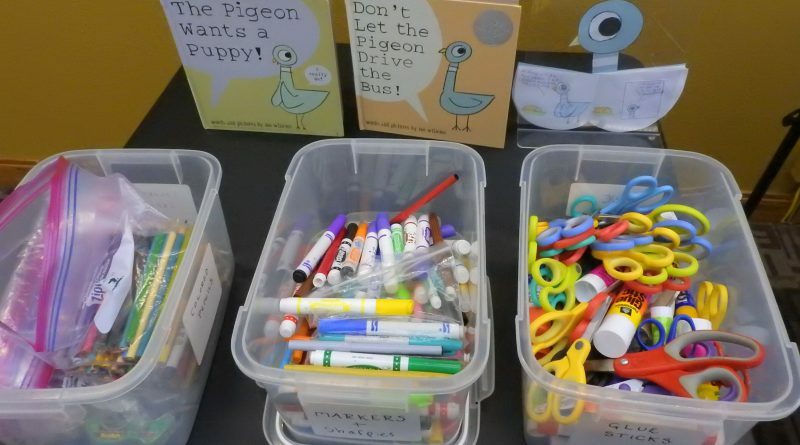 One child didn’t want to share his and I respect that. 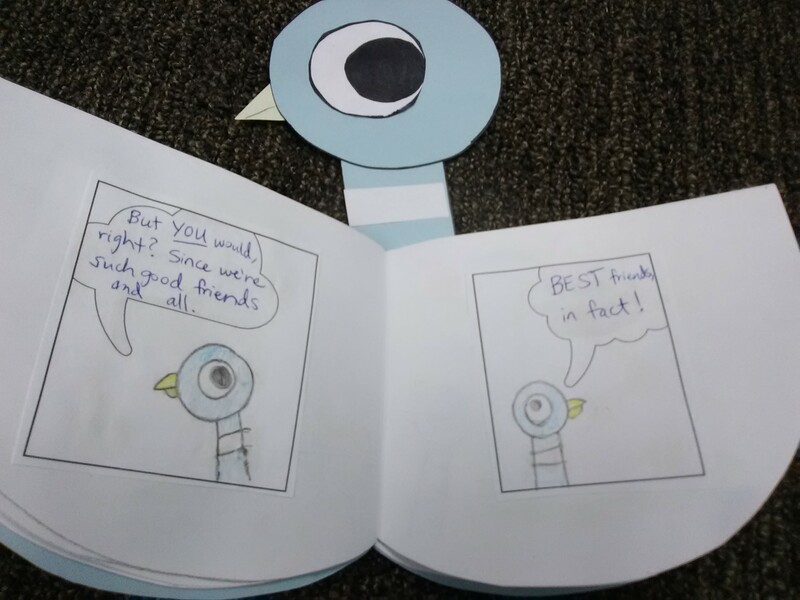 And one girl did share hers, but unfortunately her name was written in big letters on the front cover, so I can’t share it here, for safety reasons. 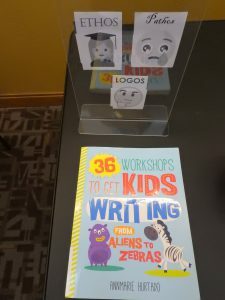 It was just such a blast seeing kids create these books and make their own stories! And we had a wonderful turnout. 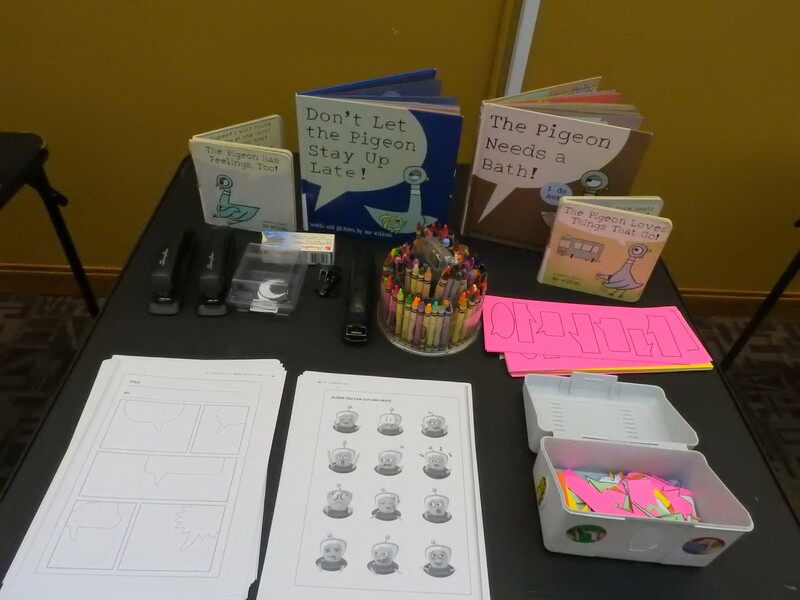 Many thanks to everyone who came!